I hope, however, that I don’t make you cry seeing this recipe. It’s rather tasty and pretty inventive so hopefully its not something that you’ve had yet this year. Great as a side dish or a vegetarian option, this veggie stuffed zucchini will fill you up! Preheat the oven to 350. Line a baking sheet with foil. 2. Heat the olive oil in a small skillet over medium-heat. Add the garlic, onion and mushrooms and cook for 7-10 minutes or until the mushrooms are soft. 3. Remove from the heat and transfer the mushroom mixture to a bowl. Add the balsamic vinegar, bread crumbs and Parmesan cheese. Toss until combined. 4. Spoon the mixture into the center of the zucchini. Bake for 8-10 minutes. I didn’t even bother making enough of this for Tom to try it. Every time I even pick up a zucchini in the grocery store he eyes it warily and asks me what I’m going to make with it. My standard response has become “nothing for you”. I thought these were great and much more filling than I expected. Sounds yummy! 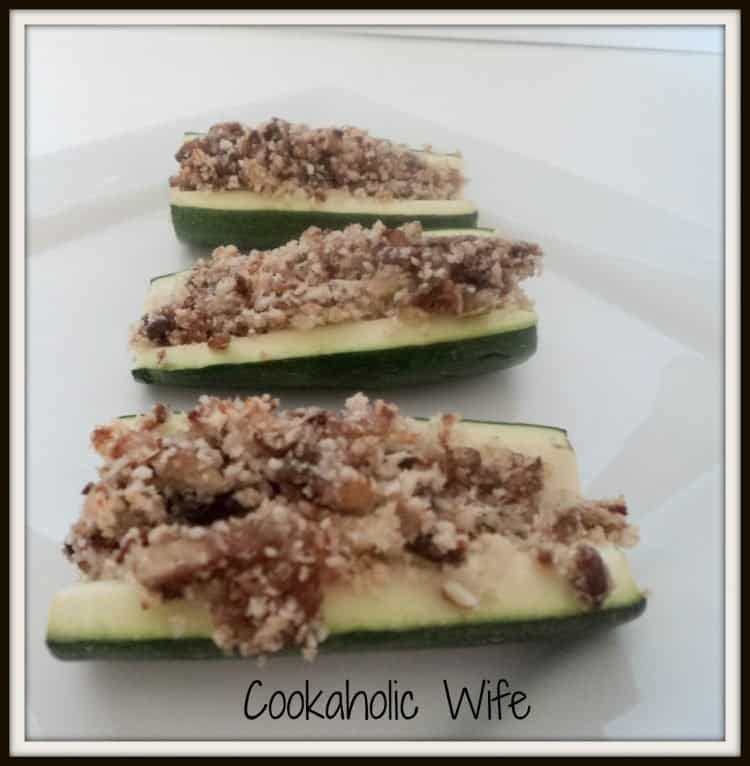 We've stuffed zucchini and yellow squash with everything from taco meat to Italian sausage this year in an effort to keep things interesting but haven't tried anything like this yet!